Install all the above in thee order mentioned and we should be good to go. 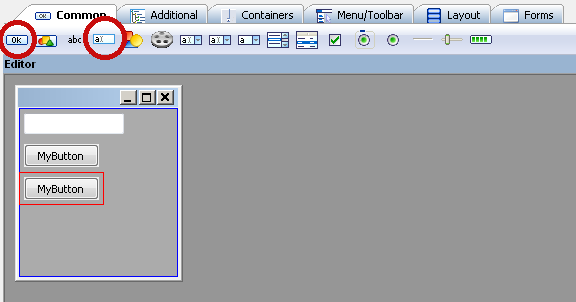 From the Common tab add TexCtrl and 2 Buttons. 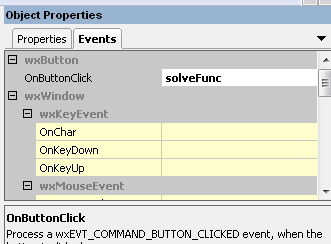 In the Events Tab change the OnButtonClick value to solveFunc. 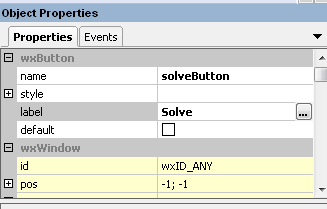 This will be the function called when the button is clicked. Your window should be looking similar to this by now. Save The Project and hit F8 to generate code. You should end up with a file called gui.py in the directory you saved in. This file holds the code for generating the graphics. Read the comments for explanation. The File contains less than 20 Lines of functional code. What OS are you on ? and what wx version ? Does GetValue() give you any errors ? Oops. I thought I had the “stable” version. Tried this code on Win7 32bit machine with wx.version() = 2.8.12.1 and it worked just fine. Thank you very much for writing this demo. It did indeed “simplify” basic forms for me! Thank you for sharing this, it was extremely helpful. Sorry for the late reply. Everyone starts out as a noob, so did I and so did Linux Torvalds. Nice tutorial! But will like to learn more, kindly point any good wxFormBuilder and wxPython tutorials or manual. I didn’f follow one specific source I can remember about for wx. And after this post I havn’t done much of wx. Although I found the solutions to most of my problems in the wxPython manual. Just the most important is missing from this ‘tutorial’. I have made the required changes. Thanks . Can you tell me what version wxFormBuilder you are using ? I have installed on windows and the version 3.5 beta and the python option for code generation is there. I found something about ppa but it does not work. 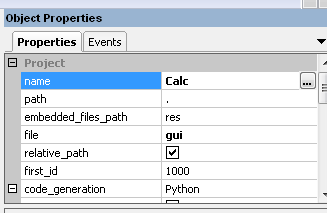 The compile process did works ok, now I have python option on code generation. 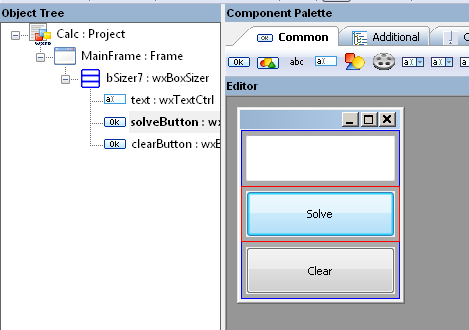 http://wxformbuilder.org, just add the lines from synaptic and update and the 3.5 version is available. 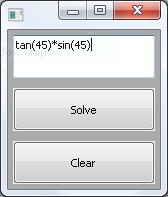 After solving version issues with wxformbuilder, I have finished the tuto, but the program does not work, if I click on clear, nothing happens, and if click on solve button, a error appera on terminal. The code for actions is which you show above. 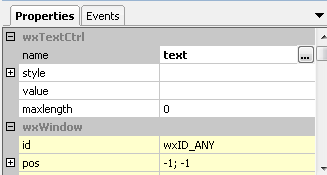 If you paste the code here I can’t really make out the indentation. Could you use something like pastebin.com and share the link ? ## PLEASE DO “NOT” EDIT THIS FILE! I am not understanding the comment “Virtual event handlers, overide them in your derived class”, in facy there are two function on the another one py file and it is there where the error appear. Virtual functions simply mean they do nothing, and you override them in your code to implement your own logic. Please paste your code on http://pastebin.com/ and share the link. It would be really helpful if I could see both your code and the generated code. Also mention the error you are getting. Again, please share the code through pastebin or some other code sharing facility. I cannot debug without indentation. And comments is not the right place to share code. Put the following in your main.py file and tell me what happens. Maybe I could have handled the except clause a little better as in such cases it makes debugging tough. I am sorry for not testing the code on Linux. 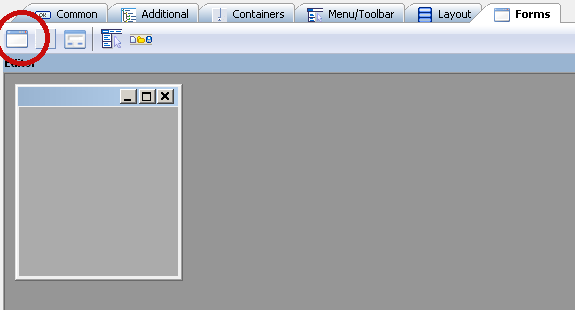 Use GetValue and SetValue instead of GetLabel and SetLabel and it should work. Thanks for pointing this out. Thanks for the great info you def helped me get started with wxformbuilder. I have made the changes. Thanks a lot for pointing it out. It was very useful to understand WxPython+WxFormBuilder. 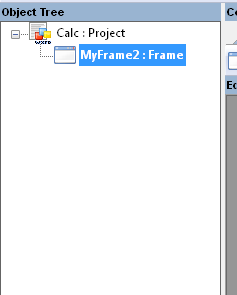 The gui file gives an error. It says expected an indented block. Thanks, that’s a really simple post and to the point. have you tried the same combination (wxPython, wxFormBuilder) on larger scales. How do you compare it with PyQt and Qt Designer ? My concern over Qt is that it is becoming pretty expensive. Only a good choice if you’re creating open source. This is why I’m interested in WxPython otherwise I’d have preferred Qt. You can always use PySide. Agree but Qt itself is becoming very expensive. I hope it helps someone getting started with wxPython and wxformbuilder.